Application Deadline: midnight CEST on Tuesday, 30th May 2018. 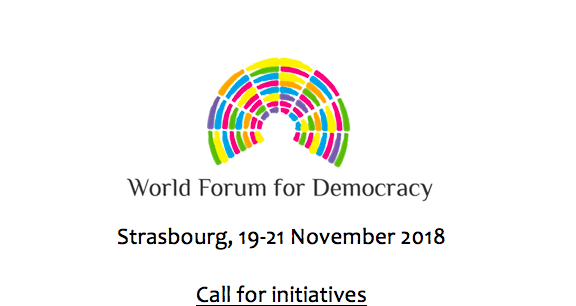 The World Forum for Democracy is a platform for dialogue and democratic innovation which brings new ideas into the work of the Council of Europe and promotes its principles across the world. A unique event of its kind, it deals with challenges facing democracy taking as a starting point innovative initiatives and practice, and fostering debate between different actors in order to find SOLUTIONS. The Forum highlights and encourages democratic innovation to strengthen the foundations of democratic societies. A democratic exercise in itself, the Forum aims at giving the people – demos – their rightful place in political decision-making. It thus contributes to the evolution of democracy towards more participatory and inclusive structures and institutions. 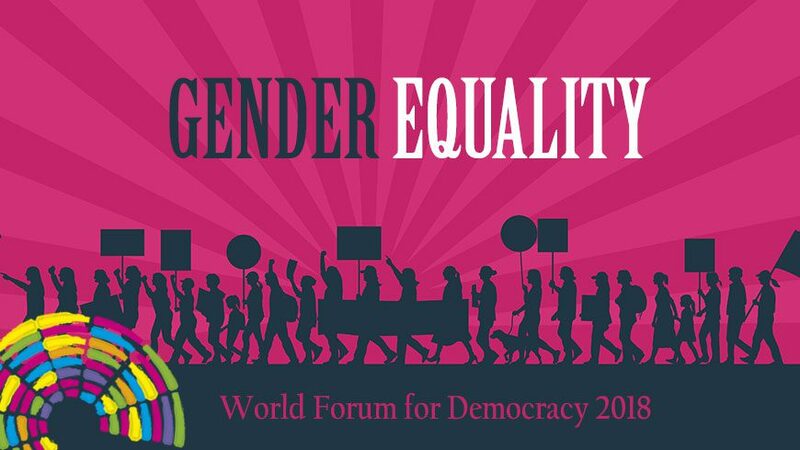 The 2018 World Forum Democracy will address the fight to eradicate all forms of violence against women and women’s role in public, political and economic life, based, inter alia, on the extensive work of the Council of Europe. This includes the Gender Equality Strategy 2018-2023, the Istanbul Convention on Preventing and Combating Violence against Women and Domestic Violence and other relevant standards and tools that feed into the implementation of the United Nations Sustainable Development Goals. Plenary sessions will be an opportunity to discuss with speakers from all continents, including politicians, public and private officials, international organisations, civil society, academics, as well as survivors of violence and discrimination who will share their experience and discuss how to improve the current situation. The labs will allow participants to learn about ground-breaking initiatives that offer responses to the key questions above based on an analysis of their real impact and replicability. The initiatives must help us understand how democracy and democratic institutions and practices can help re-establish balanced power relations between women and men and put an end to all forms of discrimination and abuse. The labs are the ♥ of the World Forum for Democracy. Their idea is to address specific issues through the critical analysis of tested initiatives. The initiatives will be presented in short speeches of ten minutes and critically assessed by multidisciplinary panels and participants in the labs. The key conclusions and lessons learnt from the labs will be discussed in a summing up session in order to prepare the overall conclusions of the Forum. The Forum participants will vote to choose the winner of the Democracy Innovation Award among the presented initiatives. Organisations/institutions worldwide are invited to express their interest in presenting an initiative aimed at changing the diverse range of experiences women are facing. These initiatives should be able to share evidence about efforts that have led to the strengthening and protection of women’s rights and/or to a balanced representation of women and men in public, political and/or economic affairs. Submissions should be made by answering the questionnaire in the appendix and sending it to forum_democracy@coe.int by 30 May 2018. The World Forum Task Force will select the most interesting and relevant proposals in June 2018. Any public or private organisation is eligible to apply. One presenter for the selected initiatives will be invited to Strasbourg to take part in the World Forum. Travel and accommodation expenses may be covered by the Council of Europe if required. Apply Now to the Call for Initiatives before the closing date of midnight CEST on Tuesday, 30th May 2018. Previous articleGoogle Developers Agency Program for software development agencies in Nigeria. I’m glad to have come across this even and pray to be accepted for the event.